Quality graphics contribute signiﬁcantly to the impact of your printwork. Flaming Cherry, are committed to exceptional service to our clients from inception to production. Dynamic signage and stunning graphics makes a lasting impression. Vivid colors and sharp images attract attention, build trafﬁc, and communicate messages more effectively. There is nothing more important to us than the complete satisfaction of our clients. These Standard Terms apply to the supply of all products and services by Flaming Cherry Design and MarketingWorx a division of Flaming Cherry Design, unless we otherwise agree in writing. All prices and related information provided in the quotation is exclusively intended for the client and are confidential. We accept orders and instructions only on the basis that those instructing us do so as principals and are liable directly to us for payment of their account. We accept material for designing and/or printing and/or publication on the basis that those submitting the material are responsible for ensuring it is free from defamatory matter and does not infringe copyright or any other third party rights, and that those instructing us indemnify us accordingly. Companies requiring our services with CI Manuals (Corporate documents and instructions on usage of Company brand) must please provide a digital copy of required documents with payment of deposit before any work can commence. Flaming Cherry Design reserves the right to update these terms and conditions at any given time and without notice to clients. It is the sole responsibility of the client to check these terms and conditions from time to time for any new updates. These terms and conditions will become effective as soon as it is published on Flaming Cherry Design’s website. Full payment is required on all printing. Printing Quoted prices will be valid for fourteen days only. Payment is strictly a 85% deposit (brand development, design and websites) before any work will commence with the remaining balance to be paid on a monthly basis for the duration of the project on a basis of 3 months maximum. NO PROJECT RELATED FILES, WEBSITE LAUNCHES OR SOFT COPIES WILL BE RELEASED IF THE FULL BALANCE IS NOT SETTLED ON COMPLETION OF EACH PROJECT. All deposits are non-refundable unless confirmed otherwise in writing from Flaming Cherry Design. A signed purchase order (preferably with a PO number and project value) will need to be raised for the full quoted and agreed amount before work can commence on any job. A separate PO may need to be raised for any extras such as a express printing , express design rates, deliveries or additional services. PO invoices is due within 30 days from invoice date. Should Flaming Cherry Design not get any correspondence from a client within 2 weeks of signing the quotation, their deposit will be forfeited. Should a quotation initially be accepted and then declined without paying a deposit, an admin fee of 10% of the quoted amount, up to a maximum of R2 000, should be settled. Amount not paid on the due date by the client shall bear interest at a rate of 2.5% per month calculated with effect from the due date on which such amounts are paid. Material, labour costs and deliveries have been included at prices ruling at time of quotation. Price adjustments arising from any increase in these costs will be for the client’s account. Estimated/verbal quotes may vary from the official quote. Quoted prices will be valid for thirty days only. Copyright of all final print-ready artwork will vest in Flaming Cherry Design until full and final settlement of the account, where it will be transferred to the client. Final proofs must be signed and dated by the client before printing / publication can commence. Prices do not include any author corrections (corrections made by the client after the final proofs have been signed off), which may be incurred to expedite delivery. Such costs may be additionally charged from the client at the ruling tariffs. No order may, after its acceptance, be partially amended or canceled in any way, unless both parties agree to it in writing. If the Client believes that the design work does not conform to the description then they shall notify Flaming Cherry Design within 24hours of receiving the service/goods. If no notification is received then the design work shall be deemed accepted and to conform to the description of the Services in every respect. For the purposes of this condition Flaming Cherry Design liability for defects in the Deliverables shall be limited to the replacement of the Deliverables at no additional cost to the Client. Provided always that such defect is notified to Flaming Cherry Design in accordance with this condition and the Deliverables have been returned to Flaming Cherry Design for inspection. Flaming Cherry Design shall use reasonable endeavors to provide the Services, and to deliver the Deliverables to the Client, in accordance with the Quotation. Flaming Cherry Design shall not be liable to the client for loss of profits or for incidental, special or consequential damages arising out of or in connection with the execution of the order. Late performance or non-performance of delivery, which is not due to the negligence of Flaming Cherry Design. Late performance or non-performance of third party Companies working together with the client. Artwork not being provided by third party Companies working together with the client. Failure to gain access to information, when required, or from failure to receive appropriate documentation in time from the client. Any costs incurred due to these delays will be for the client’s account. 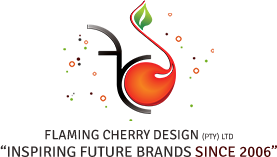 Flaming Cherry Design cannot guarantee the Client exclusivity of any marketing concept, strategy, design or other intellectual property provided. Therefore Flaming Cherry Design will not accept liability for any alleged claim from the Client or any Third Party as the result of unintentional similarity in part or whole of a Third Party’s copyright protected or registered trademark or brand, identity, strap-line, colour usage, image style and content, product or otherwise. Flaming Cherry Design will not include in its designs, any text, images or other data which it deems to be immoral, offensive, obscene or illegal. All advertising material must conform to all standards laid down by all relevant advertising standards authorities. Flaming Cherry Design also reserves the right to refuse to include submitted material without giving reason. In the situation where any images and/or data that Flaming Cherry Design does include in all good faith, and subsequently discovers is in contravention to such Terms and Conditions, the customer is obliged to allow Flaming Cherry Design to remove the contravention without hindrance, or penalty. Flaming Cherry Design is to be held in no way responsible for any such data being included. Quotations submitted by Flaming Cherry Design will be valid for a period of 14 days from the quotation date, however If this 14 day period passes without the clients approval then the quote will expire. Thereafter, Flaming Cherry Design may change the quote at the ruling tariffs. Quotations are submitted on the condition that all content, text, images and relevant information will be supplied by the client to Flaming Cherry Design in advance to avoid delays, unless otherwise stated and agreed upon. If a client is unable to provide content, text, images or any information for the project to commence, Flaming Cherry Design reserves the right to quote and bill the client for research and planning needed to complete the project as required by the client. Research and planning will be billed at the ruling per hour tariffs. Quotations and proposals submitted by Flaming Cherry Design should not be disclosed with any third party website designers or developers unless agreed upon by Flaming Cherry Design. Flaming Cherry Design will store back-ups of preceding websites for a period of 6 months after uploading the new website. Creating backups of the website, only upon request from client. Repair to the website due to client or 3rd party error. Flaming Cherry Design will complete the design and build of the Client’s Website after receiving written confirmation that the design is satisfactory. Once initial design/template is approved additional charges will apply to the clients account if any changes is required on design/template. Flaming Cherry Design does not provide the login details for maintenance of websites by clients or other companies. We are responsible for any maintenance or updates required at the ruling per hour tariffs. We also provide maintenance packages for long term clients. It is the clients responsibility to insure Flaming Cherry Design gets informed about maintenance and updates and that required information reach Flaming Cherry Design to be able to commence with the required updates. Minor Updates can take up to 48hours. Major update duration will be confirmed in writing with client after deposit was paid. If the Client fails to notify the Flaming Cherry Design of any amendments, the Client shall be deemed to have checked and accepted the proof and the Flaming Cherry Design shall have no liability in respect of claims, charges or variations subsequently necessitated. Flaming Cherry Design does not have control over the content of the Client’s website and shall not be liable in relation to any action made relating to inaccurate or incorrect information and shall not be liable in relation to any other action brought in relation to the content of the website. Flaming Cherry Design will upload the final website upon approval within 48hours of receipt of payment of account balance. Should a client fail to pay Flaming Cherry Design within 1 (one) Month for website design services, Flaming Cherry Design reserves the right to suspend the website (or any services) and reissue a new invoice with 20% or 5% compounded on a daily basis added onto the new invoice respectively. The new invoiced amount will be deemed payable immediately, and is for interest rates and the time it takes Flaming Cherry Design to suspend the concerned website. Should a client fail to pay Flaming Cherry Design within 3 (three) Months for website design or web development services, Flaming Cherry Design reserves the right to terminate the website. The process involves removing/deleting the entire database and website from the server and Flaming Cherry Design cannot be held liable for any loss or damage in the unlikely event of this happening. Flaming Cherry Design will reissue a new invoice with 20% or 5% compounded on a daily basis added onto the new invoice respectively. The new invoiced amount will be deemed payable immediately, and is for interest rates and the time it takes Flaming Cherry Design to terminate the concerned website. Flaming Cherry Design reserves the right to add a link to the Flaming Cherry Design’s website www.flamingcherry.co.za within the footer of the designed / developed website, unless otherwise agreed upon with the client. Duration of Project/Time estimate will be confirmed upon the acceptance of the quote(s). Please note below guidelines. Hours quoted for any design is not final, and can only be confirmed once the project is completed. Please note that invoiced hours for designs may vary from original quoted hours. Invoiced hours will be accompanied with Time sheet for additional hours. Any additional Images and Graphics purchased for design concepts will be for the clients account and will be state on the quote or confirmed in writing before purchase. Approximate first proof meeting, 4 working days from receipt of deposit. Approximate first proof meeting, 3 working days from receipt of deposit. Approximate first proof meeting, 24hours from receipt of deposit. Approximate first proof meeting, 6 weeks from receipt of deposit. Charges for design work do not cover the release of copyright design files including indd, psd, coraldraw or any other source files; if the Client requires these files, they will be subject to a separate quotation or ‘buy-out’ charge. Only Logo design & logo redraws charges includes the source file. All Designs will be available in Print ready PDF or High resolution JPEG format to clients unless otherwise confirmed in writing from Flaming Cherry Design. By signing your quote and completing emailed document you thereby accept the terms & conditions of Flaming Cherry Design and MarketingWorx a division of Flaming Cherry Design. Please use your quote number as beneficiary reference when making a payment.